The Scarab is only a vehicle, not a character, but in many ways it’s the star of the show. Certainly we’d want it featured prominently on the poster. So getting its “look” just right would be crucial. We knew we’d be spending a lot of time and effort on the modeling phase. Seriously, how wicked are those leg mechanisms? Once we examined the model from all angles, however, we realized we still had a ways to go. We’d lost a lot of the roundness, the compactness, of the original concept. 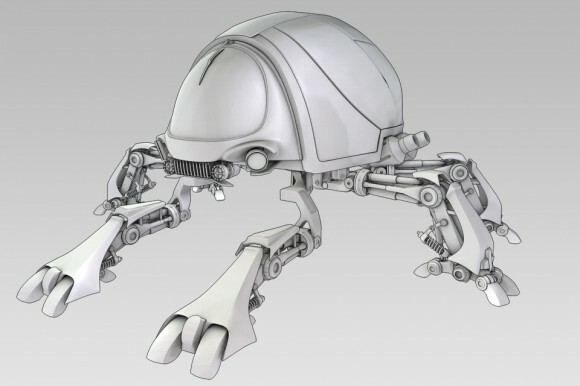 The Scarab is supposed to have a hunched-over, defensive posture, and we needed the model to reflect that. Here was where our art director stepped in with one of his trademark diagrams. 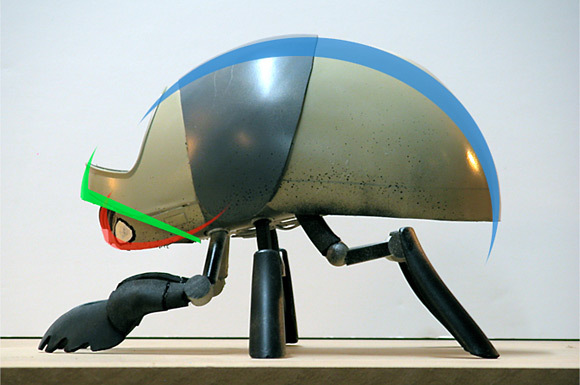 In the image below, he identifies the key lines that define the Scarab’s silhouette. If we could preserve those curves during the remodel, we’d be most of the way there. Was it worth it? Absolutely. 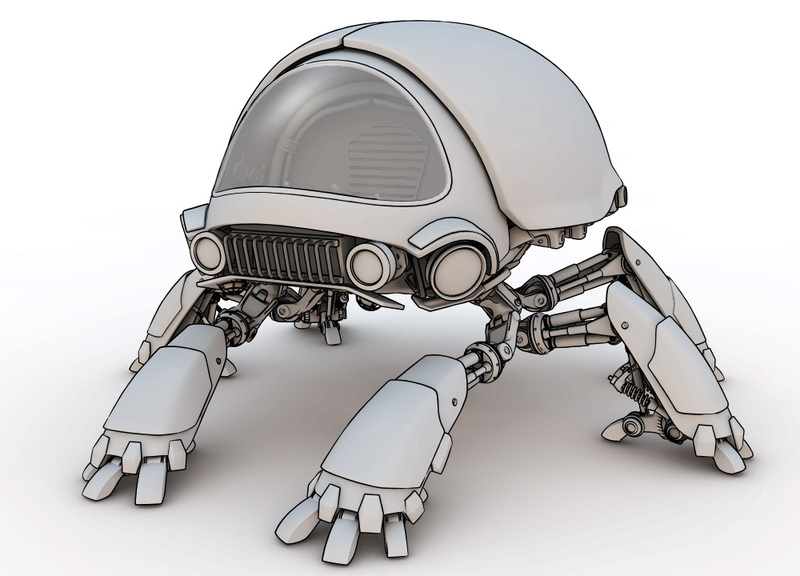 The completed model beautifully captured the spirit of the original plastic Scarab while adding plentiful dieselpunk stylings and a crisp, comic-book flair. Our star vehicle had arrived.